Bealsville is a historic African American town, located south of modern-day Plant City. After being given their freedom at the close of the Civil War, a group of African-American families decided to establish their own town. Some of the men scouted out and chose a site for the community, which was originally called Howell’s Creek. Sarah Hopewell, a plantation owner, provided horses, mules, and farming equipment to help with the settling of Howell’s Creek. The town was completed by late 1865, and in 1866 the Southern Homestead Act allowed families to purchase tracts of land up to 160 acres. The town was renamed Bealsville in 1923 to honor Alfred Beal, one of the original residents of Howell’s Creek. When some of his neighbors’ land was foreclosed upon, Beal bought it and then sold it back to residents, in order to keep the land in the hands of the community. Information from: Bealsville, Inc. History of Bealsville Community. http://www.bealsville.com/BealsvilleHistory.htm, accessed January 24, 2011. Eatonville was the first incorporated African-American Community in the United States, established in August of 1887. 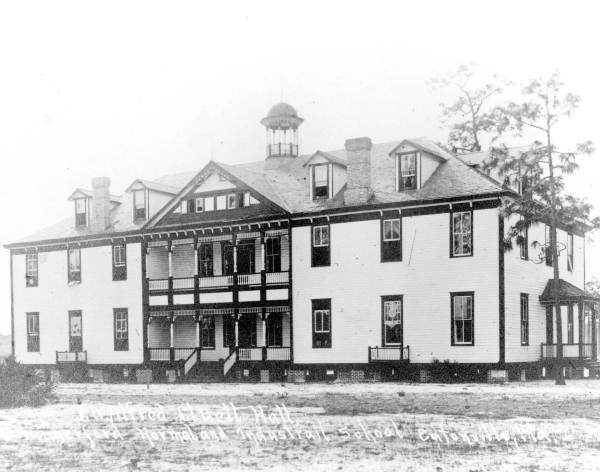 It is named after the Union Army Captain Josiah Eaton, who sold to freed people the land on which Eatonville now stands. It was home to the Robert Hungerford Normal and Industrial School, a secondary school for African-Americans established in 1889, which became an Orange County public school in 1950. Eatonville’s most famous resident was Zora Neale Hurston, the celebrated American folklorist, anthropologist, and author. Hungerford Normal and Industrial School, J.H. Alfred Cluett Hall picture, pr02888. Florida Memory. State Archives of Florida. Information from: Town of Eatonville. 2010. History. http://www.townofeatonville.org/index.php?option=com_content&view=article&id=26&Itemid=87, accessed January 24, 2011. 2006 The Rosenwald Schools of the American South. Gainesville: University Press of Florida.